Looking for paintballing in Barkingside? 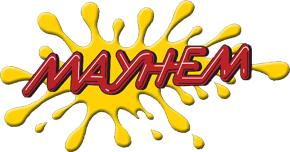 Visit the award-winning Mayhem Paintball! If you want to play Paintball in Redbridge and Barkingside, Mayhem Paintball is very close just on the other side of Chigwell. We are approximately 10-15 minutes from the centre of Barkingside. You can get the Central Line tube to Theydon Bois, where Mayhem offers a free pick up and return to the station service – we have 3 x 16 seater mini buses available. Mayhem Paintball has been voted the best paintball venue for 7 years running and boasts a 5-star rating from the UK Paintball Sports Federation. Mayhem Paintballing features 15 different playing areas; with real tanks, planes, helicopters and much more. Check out our scenario page and have a look at what sets us apart from other paintball venues – crashed aeroplanes, 2 anti-aircraft guns, real battle TANKs, army vehicles and armoured personnel carriers. Our famous Call of Duty Modern Warfare battleground features a genuine Russian T55 tank, a number of Land Rovers and bombed-out shipping containers! If you like paintball and Call of Duty, you will absolutely love Mayhem Paintball. We offer the very best in equipment, playing areas, facilities and employ highly trained staff, including professional paintballers. We are the only paintball venue in the UK to issue thermal, double glazed safety goggles as standard. Offering steam-free, clear vision throughout the day – something that’s vitally important, yet often overlooked. Mayhem Paintball is ideal for stag dos and hen parties, too. Paintball provides an exciting, eventful and fun experience that will make it a day, or weekend, to remember. Families love to come and visit us, too! Our mini paintball is perfect for birthday parties for children aged 8-11 years old. With smaller, lighter, and less powerful guns and a time limit of 2 hours, mini paintball is custom designed for children and parties. We even have a heated indoor party room, which is fully supervised by our staff, so you can relax whilst the children have fun. Mayhem is accredited by the UKPSF (which is the governing body for paintball in the United Kingdom). For Barkingside paintballing, there is no better venue than Mayhem. We would recommend coming and having a look at our paintball site – we guarantee that you will not find a better site in Essex, London, or within 100 miles of Mayhem! For more information on Barkingside Paintball, please check out our paintball zones page.